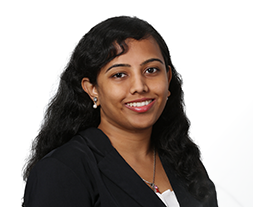 Prior to joining Accordant Media, Priyanka worked for EMC Data Storage and Systems developing and implementing web applications and custom software. Her interest in Computers, data and Algorithms led her to receive Master’s degree in Computer Science from New York University. Travelling, Swimming, Singing are Priyanka’s favorite activities. She likes exploring new places, cuisines and trying different adventures. Parasailing is one of her favorites and wants to experience sky diving next.